The contrast in negotiated outcomes could not have been starker. The day before his second summit meeting with North Korean leader Kim Yong Un, held in Hanoi from 27-28 February, President Donald Trump, along with Vietnamese President Nguyen Phu Trong, witnessed the signing of an agreement between Boeing and two Vietnamese airlines. The deal, for the purchase of 110 aircraft worth $US15.7 billion, had been foreshadowed during the Farnborough Air Show last year and had obviously been sealed before the gala signing ceremony. The terms had been set, the price was right and there was no chance that either Boeing, the airlines or the two nations’ leaders would be embarrassed by a last-minute collapse of the deal. The anticipated nuclear deal between Trump and Kim, on the other hand, was a study in contrasts. 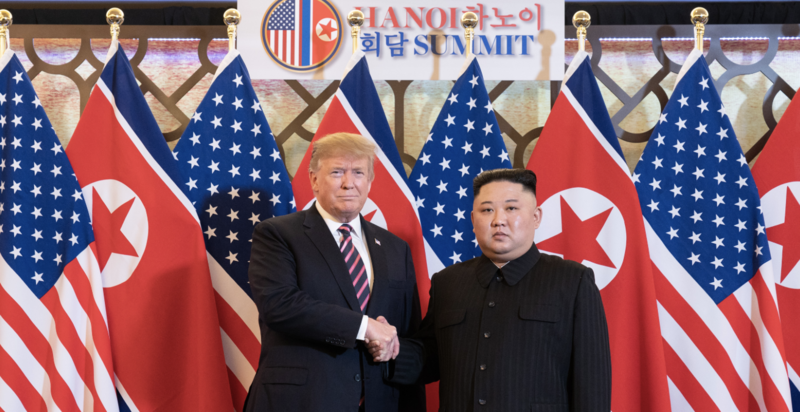 Far from being sealed before the two leaders arrived in Hanoi, a successful agreement seemed predicated on their vaunted personal chemistry, previously displayed at their first summit in Singapore in June 2018 and in subsequent flowery correspondence. This personalisation of diplomacy between the United States and North Korea is partly an inevitable result of Kim’s status as Supreme Commander and “Leader” described by the Korean Central News Agency as “a great person born of heaven.” The United States has long experience with such negotiating partners, not least Kim’s father and grandfather. The difference this time is Trump’s own personalisation of US diplomacy, reflecting his supreme confidence in his negotiating abilities as a master of the Art of the Deal and a “stable genius.” As a result, in contrast to the Boeing aircraft deal, the terms of “denuclearisation” of the Korean Peninsula had not been set prior to the Hanoi summit, the price had not been agreed and the chances were high that a deal would be impossible to reach in just two days of summit diplomacy. The standard procedure for summits between national leaders is for officials to thoroughly prepare the groundwork to avoid any possibility of embarrassment – it is, in a sense, a government official’s “prime directive.” Summits are normally highly choreographed affairs that simply put a seal on agreements already nailed down. Not only will senior officials in capitals and embassies have met as often as necessary to establish the broad outlines of an agreement, but working-level officials, including technical experts, will have met to ensure that the details are all present and correct. The Trump administration operates on a different basis. The President is so confident of his own judgement that he rejects the advice and fact-based analysis of senior officials, in this case, those of the national intelligence agencies, the State Department and the Department of Defense. He is reportedly impatient with detail, dismissive of extended briefings and makes decisions based on his “gut” feelings. Following the Singapore summit, North Korean and US officials did, as would normally be expected, meet at the “working level,” led on the US side by special envoy Stephen Biegun (who previously had no experience with North Korea). Secretary of State Mike Pompeo was also involved, making one visit to North Korea in October 2018. 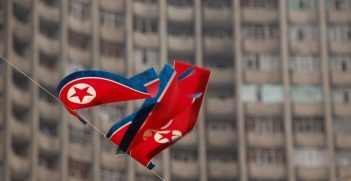 Yet little progress was made on the core issues at stake: North Korea’s desire to rid itself of all economic sanctions, on the one hand and US demands, on the other, that Pyongyang verifiably and irreversibly disarm itself of its nuclear weapons and associated delivery systems, along with the means for researching, developing and producing them. In the normal course of events, one would have expected officials to have produced some sort of an agreed document for Trump and Kim to sign in Hanoi. Ideally, this would have included a draft denuclearisation agreement that provided for a declaration of all North Korea’s nuclear holdings, a staged dismantlement and destruction timetable, and appropriate monitoring, verification and compliance measures. In return, for the North Koreans, the agreement would have provided for a staged dismantling of sanctions, economic incentives and other political inducements such as a process leading to an official end to the Korean War, mutual diplomatic recognition and security guarantees. Trump had increasingly dampened expectations of such a deal, unwisely saying he was in no hurry for denuclearisation (whatever that might mean). Instead, there was vague talk of a statement declaring the Korean War over, the establishment of “interest offices” in each other’s capitals (short of mutual diplomatic recognition) and some type of economic cooperation that did not violate UN Security Council sanctions. This could be combined with a shut-down and possible dismantlement of North Korea’s main declared nuclear facility at Yongbyon. But even this minimalist agreement had not been finalized in time for Trump and Kim to sign. Presumably, Trump was hoping for a much bigger, strategic agreement, albeit short on pesky details, that would seal his place in history. Instead, it appears that the US side (Pompeo and hard-line national security advisor John Bolton were also present in Hanoi) pressed the North Koreans for disclosure of all their nuclear weapon facilities (some are suspected but undeclared) and their complete dismantlement before any sanctions relief could be expected. When Kim offered to close Yongbyon in return for all sanctions being lifted, the talks collapsed, apparently by agreement. The outcome illustrates the foolhardiness of relying on personalities instead of well-prepared negotiating strategies, plans and tactics (including fall-back positions). This is not to discount the importance of personal chemistry. The Reagan-Gorbachev arms control achievements in the 1980s demonstrated the possibilities. But their 2008 Reykjavik summit, where an unexpected chance to achieve nuclear disarmament driven by both leaders was thwarted by the sudden emergence of substantive disagreement over missile defence, illustrated both the limitations and dangers of personal diplomacy unmoored from political and technical realities. But what now of the North Korea nuclear impasse? Fortunately, the summit seems to have ended more in sorrow than anger. Japan and South Korea are relieved that Trump resisted the urge to reach a bad deal involving the lifting of sanctions in return for modest further restraints on North Korea’s nuclear program. Both sides will need to reconsider their positions. 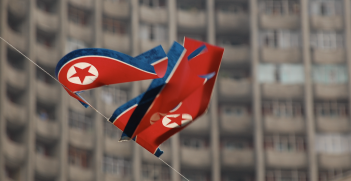 The verified closure and dismantlement of Yongbyon in return for some sanctions relief, accompanied by the other non-nuclear elements presaged prior to Hanoi, sounds like the basis for an interim agreement pending full disclosure and verified disarmament. A third summit should not be held until there is such a substantive document to sign, one that is not subject to personality-driven negotiation. Paradoxically, the model for resolving the North Korea nuclear issue is the Iran agreement, the 2016 Joint Comprehensive Plan of Action (JCPOA). 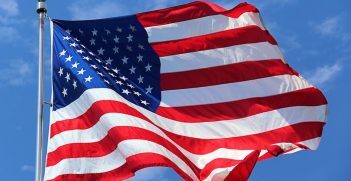 Trump, Pompeo and Bolton have all disparaged it and the Trump administration has withdrawn from it. Yet it is the very type of agreement required when the goal is to roll back a country’s nuclear capabilities piece by piece. It involves clearly defined, coordinated steps to be taken by all sides according to a strict timeline; a return to the most intrusive form of inspections by the International Atomic Energy Agency, plus additional intrusive measures such as 24-hour inspector presence; gradual sanctions relief linked to compliance; a “snapback” of sanctions in case of severe violations; additional confidence-building measures; economic incentives; and endorsement and enforcement by the United Nations Security Council. Negotiating such a complex arrangement requires persistence, creativity, diplomatic resources, scientific and technical input and international partners. Personal chemistry alone just doesn’t cut it. Trevor Findlay is a principal fellow at the School of Social and Political Sciences, University of Melbourne and an associate with the Project on Managing the Atom at Harvard University. His research focuses on global nuclear governance. It may be accessed online through the University of Melbourne and through the Harvard Kennedy School’s Belfer Center. US grand strategy is caught between the decline management of the Obama administration and the decline denial of today's White House.